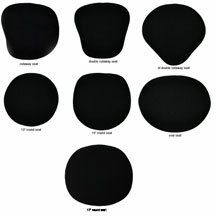 Concert Design first to provide multi-adjustable ergonomic bass chairs, bass stools and performance chairs for all musicians. Important: Fact sheet for ‘concert’ basso. 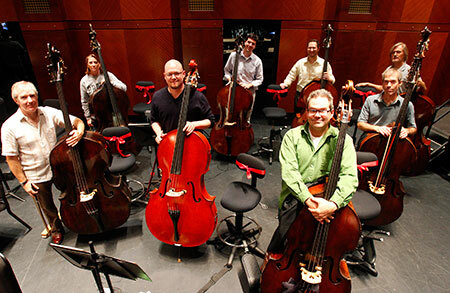 Courtesy of Fort Worth Symphony Orchestra Bass Section. Photo by Richard W. Rodriguez. * height 25″- 33″ (63.5-81.3cm) with 10″- 254mm shock. who sits with right leg straight to floor and left leg on foot-support. 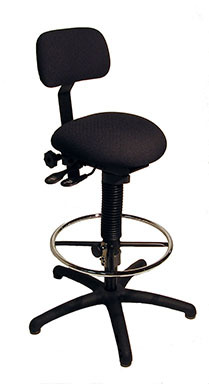 * optional foot-support attaches easily anywhere on the foot-ring and can be adjusted for height. 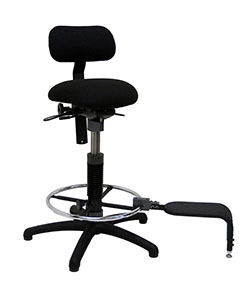 Because it is placed on the floor, there is optimum support for the weight that may be placed upon it (12″ horizontal/8″-11″ vertical adjustment).